Dillon’s Regiment (French: régiment de Dillon) was first raised in Ireland in 1688 by Theobald, 7th Viscount Dillon, for the Jacobite side in the Williamite War. He was then killed at the Battle of Aughrim in 1691. During the Jacobite War the regiment went to France in April 1690 as part of Lord Mountcashel’s brigade, in exchange for some 6,000 French regiments. 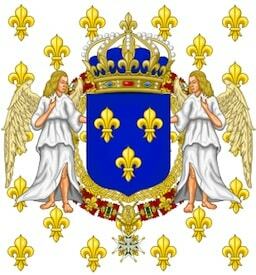 After the Treaty of Limerick in 1691, the regiment remained in the service of the kings of France under its present name. It was next commanded in France by Theobald’s younger son, Colonel Arthur Dillon, until 1733. Colonel James Dillon was KIA leading his regiment at the battle of Fontenoy in 1745 while his brother, Colonel Edward Dillon was killed at the Battle of Lauffelt tw0 years later. The formation continued to recruit from the Wild Geese Irish exile community. By 1757, its uniform was the Irish Brigade’s red coats (a carry over from its Jacobite origins), with the black facings indicating the regiment. A member of the Dillon family remained hereditary colonel-proprietor of the regiment up to 1747. Three caretaker commanders led the regiment until the last Dillon commander was old enough to take over in August 1767, as Louis XV wanted to maintain the link with the family which had given so much service. As a part of the Irish Brigade, the regiment covered itself in glory at the battle of Fontenoy in 1745, but suffered heavy losses. It was reinforced by a merger with the régiment de Lally in 1762 and with the régiment de Bulkeley in 1775. From 1777 to 1782, the Dillon regiment fought as part of the French expeditionary force in the American Revolutionary War, capturing Grenada in 1779. It was also involved in the failed Franco-American siege of British-held Savannah in that year. The Irish Brigade remained loyal to the King at the beginning of the French Revolution and this led to its dissolution in 1791. The constituent regiments lost their traditional titles and uniforms at this time. Along with the other non-Swiss foreign units, the Dillon Regiment was transferred into the regular French Army as line infantry, although always known as an Irish regiment was designated the 87th Line Infantry Regiment before being dissolved as a separate entity in 1793. The second battalion had been destroyed in Saint-Domingue in 1792 and its survivors absorbed into the British Irish Brigade operating in the Caribbean. Its first battalion then became the 157th Line Infantry Regiment and the reconstituted second battalion the 158th Line Infantry Regiment. Arthur Dillon, the last colonel of the French regiment was guillotined in 1794 during the Reign of Terror. (Henry) Dillon’s Regiment: Émigré elements of the French regiment passed into William Pitt’s British Catholic ‘Irish Brigade’ in 1794. These consisted of the greater part of the officers who had emigrated from France, and a new raising on the Dillon lands in Ireland. Henry Dillon, a brother of Arthur Dillon was given command of the regiment. However on campaign in Jamaica and Haiti, it had such losses, mainly due to the unhealthy climate, that it was disbanded in 1798. The flags and ensigns were returned to Charles, Lord Dillon, head of the Dillon family in Ireland. (Edward) Dillon’s Regiment: (Edward) Dillon’s Regiment of Foot was raised in northern Italy in 1795, by Col. Edward Dillon, formerly of the Irish Brigade in France, to fight for the English in the Mediterranean. It consisted of various foreign troops, and French emigre officers. It was at Minorca (1799–1801), fought with distinction in Egypt (1801), and was then stationed on Malta (1805–1808). At that stage the regiment consisted mainly of 450 Spaniards and Sicilians. Later serving in the Peninsular War, it was part of a provisionally named Roll-Dillon battalion, and consisted predominantly of Swiss troops who refused to serve the French Republic. They served in the Anglo-Italian Division: under General William Clinton at the Battle of Castalla in 1813. This regiment was disbanded in 1814.